Good Mach-Tool Fairs – olfor.pl | Łączymy stal nierdzewną! 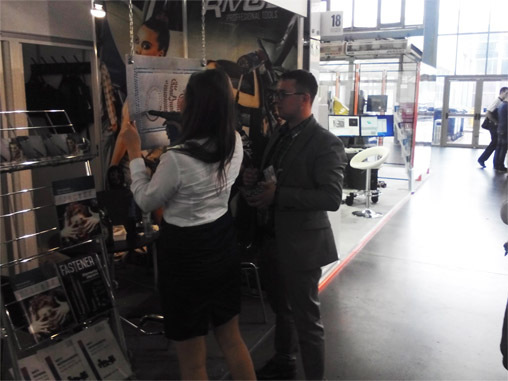 We thank all the visitors for their visit at our stand at the fair Mach-Tool in Poznań on June 9-12 2015, during which we were able to present our riveting tools. They met with great interest, and every visitor to our stand could check how easy they are to use RivOl A50 . After 4 days of the fair our logo was well rivetted in colour.